In the famous Disney classic, The Lion King, a powerful message is delivered about tradition being passed from generation to generation. The father, Mufasa, transmits to his son Simba, the power of tradition through shared experience. At the movie’s conclusion, as Simba’s son is lifted toward the heavens, we are left to understand that Simba will do the same with his newborn son. Ultimately, I believe every generation wants to hand over important lessons it has learned along the way to future generations. That seems to be how the linear track of life moves in this world. We pass those traditions down the line through written or oral history, or by simply experiencing the challenges of daily life together. We remember those especially sad and joyous occasions that not only impact us but can serve as imprints for future generations as well. In other words, “The Circle of Life” isn’t really a circle but a straight line, generation 1 has an experience, which they pass onto generation 2, which is hopefully profound enough to share with generation 3. However, on a recent trip to Patagonia with my wife I came to think about “The Circle of Life” not as a straight line, but as something circular as the song’s title suggests. As an Israeli parent, I parted with four of my daughters as they journeyed to South America on post Army/National Service trips. My eldest daughter began the cycle 17 years ago, backpacking for 7 months across Chile, Argentina, Brazil, Bolivia, Ecuador and Peru. One way to allay my natural anxiety in that pre-smart phone and spotty internet era was to buy a large map and tape it to the side of our refrigerator, allowing me to track her stops along the way. As each daughter set off for her journey, improved communication technology lessened my anxiety. As my daughters shared their enthusiasm and recollections from South America over the years, they gradually tried to convince us to visit Patagonia, the bottom halves of Chile and Argentina, the tip being Tierra Del Fuego, the closest part of South America to Antarctica. 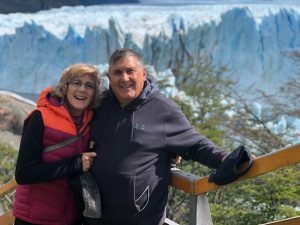 After checking our credit card awards and looking over some possible flights, we took up the challenge, booked a flight and set off on our month long odyssey this past February, the South American summer. Traveling in the footsteps of our children, seeing the glaciers, crossing the lakes and literally hiking on trails they had trod was a great adventure. We particularly enjoyed arriving in locations we had heard about for so many years. In other words, we had jumped into and become a part of the “The Circle of Life” which started with our children and was passed onto us. 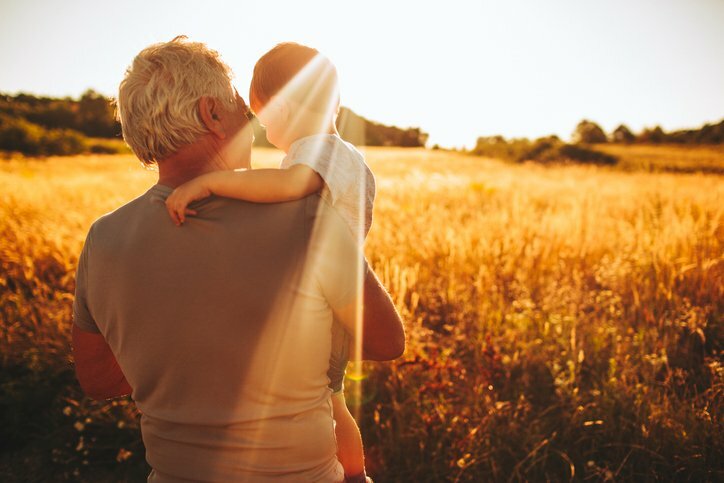 In “The Circle of Life” in reverse, the younger generation influenced the older generation, which will probably ultimately impact my grandchildren’s generation. In short, there is much for us to benefit from when we listen and learn from our children. Those lessons then give us an opportunity to pass new things we have learned to future generations. In that vein, I am already fantasizing about joining one of my grandchildren journeying to Argentina to see the world-famous glacier Perito Moreno and once again hear the thrilling thunderous roar not of the lions on the savannah, but of huge chunks of millennial ice crashing into the water.